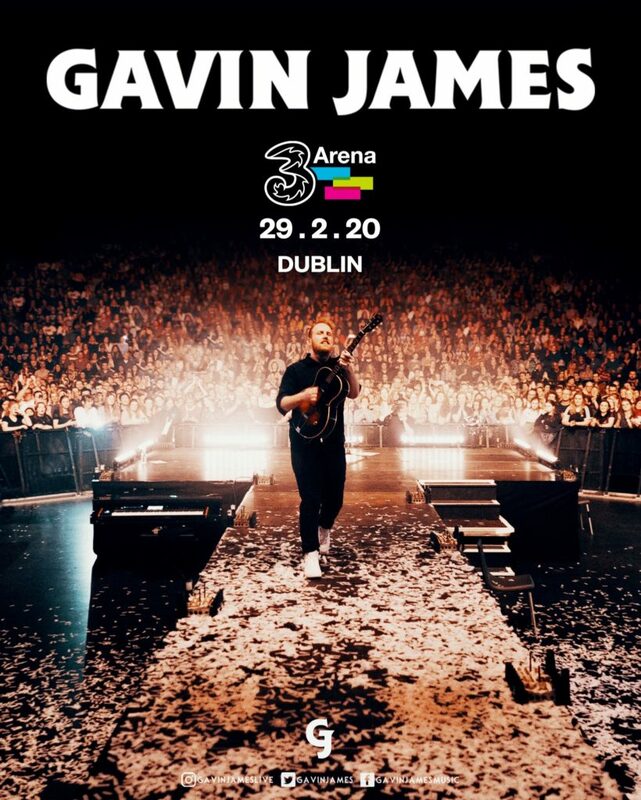 Dublin-born singer-songwriter Gavin James will play 3Arena on Saturday 29th February 2020. Tickets go on sale from €39.20 on Friday 26 April at 9 am via Ticketmaster. The show comes after three sold-out dates at the Olympia this week on April 17, 18 and 19 and a performance at Belfast’s Ulster Hall on 20 April. Since releasing his platinum-certified debut album, Bitter Pill, four years ago, James has sold out seven Irish show dates and reached over one billion online streams. His latest release, Only Ticket Home, dropped in October 2018 and climbed to the number two spot on the Irish charts. After ringing in the New Year with a live concert and TV broadcast from Dublin’s Custom House Quay, Gavin entered 2019 with a worldwide tour around the UK, Europe, US, Canada, South America, the Middle East, Asia and Australia.